If you are using Hosted Weblate the recommended approach is to install Hosted Weblate app, that way you will get correct setup without much configuring. In future it will be used for pushing changes back as well (that’s why the write permission is requested), but it’s not yet implemented. For the payload URL append /hooks/github/ to your Weblate URL, for example for Hosted Weblate service this is https://hosted.weblate.org/hooks/github/. You can leave other values on the default settings (Weblate can handle both content types and consumes just the push event). 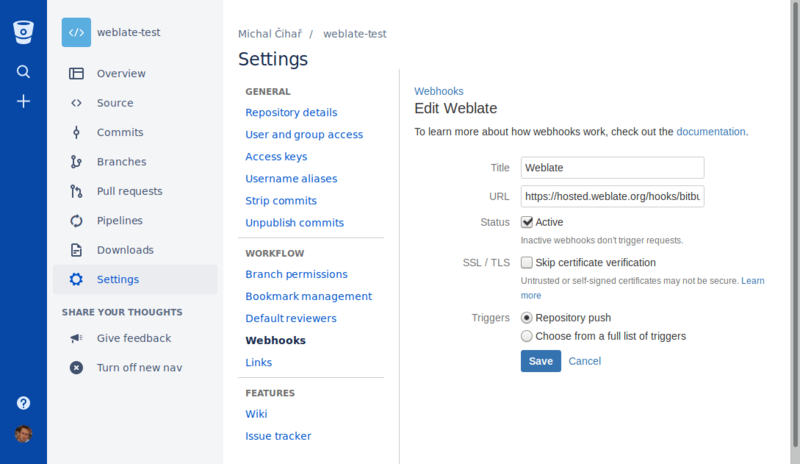 For Hosted Weblate there is a dedicated push user registered on GitHub, Bitbucket and GitLab (with username weblate and named Weblate push user). You need to add this user as a collaborator and give him permissions to push to your repository. 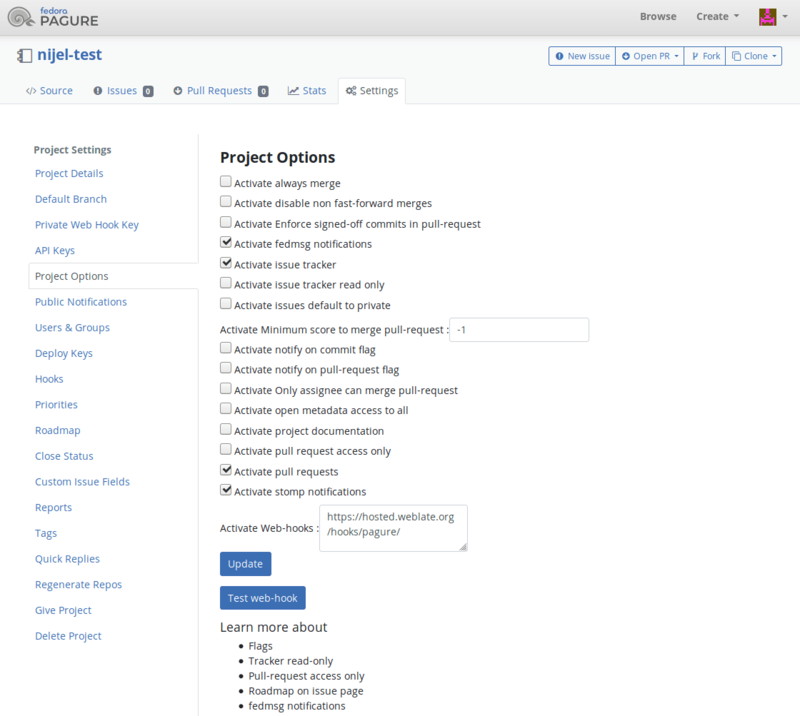 Let us know when you’ve done so and we will enable pushing changes from Hosted Weblate for you. The behaviour of Weblate is to group commits from the same author into one commit if possible. 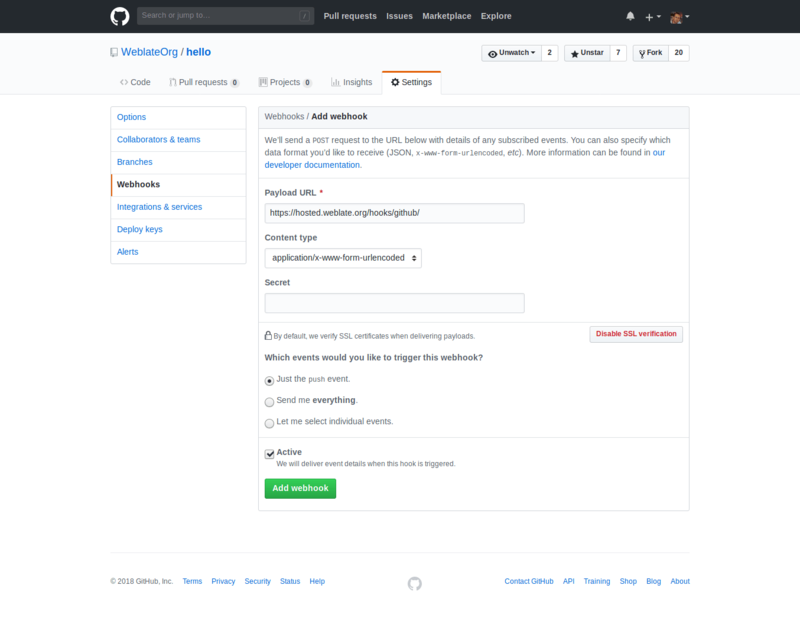 This greatly reduces the number of commits, however you might need to explicitly tell it to do the commits in case you want to get the VCS repository in sync, eg. for merge (this is by default allowed for Managers group, see Access control). The way to customize how Weblate interacts with the repository are Addons. See Executing scripts from addon for information how to execute external scripts through addons.